Bio: Danzo was born in the land hidden in the Ash. His mother had died the day that she gave birth to the kid that would one day change the world. Danzo had his dad that was the leader of his clan but that didn\'t matter because Danzo was diff then everyone else. There clan took on the features of sharks, and great water ability. But Danzo didn\'t have either of these. He was a plane little boy that lived with people that were like sharks but that didn\'t stop his dad from being a Dad do he had enrolled him in the academy so that for one he could find out his element, and learn some new skills. Once Danzo joined the academy he found of what he element was. The element that Danzo obtained was lighting, he liked that because lighting was the sign of successful to him which one day he would become. Danzo was great in the academy he had been voted number one in his class because he was developing so fast with his element and even with his skills meaning Taijutsu, Ninjutsu, and some Genjutsu. 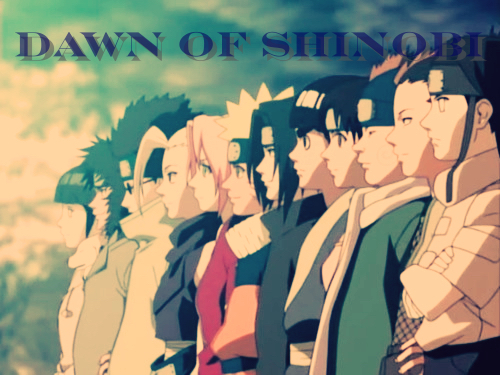 Danzo and some of his other people from his class were moved onto the rank of Genin, along with a squad to join. The three of them were assigned to a jounin and were able to take missions, and learn some new jutsus. The jounin that Danzo had liked him, so much that he had tough him the High ranked jutsu for the chuunin exams that were coming up. This jutsu that danzo was getting taught was unknown but used for only Fire element users. Danzo knew that he was going to be ready with this jutsu and was going to destroy everyone or anyone that tryed to steep to him. All though Danzo was only the rank of Genin he was really skilled at his age. He was so skilled that just before they were about to leave the village he had killed one of the legendary hyuuga clan members. He planned to have his eyes switched so that he obtain the power of the Byakugan, which he did archived and about a year later he was and had obtained the Byakugan eye. Now that he had skipped the first exams he was really ready to begin the fighting. Equipment:Two katana one white and one black. Bunshin no Jutsu is a Ninjutsu technique which every ninja learns at the Ninja Academy. The Bunshin technique creates a copy of the ninja without substance. The copy resembles the ninja in every way. This clone can function as a distraction or as means to confuse one\'s opponent. As soon the Bunshin gets attacked or comes into contact with an opponent, it will disperse. Ninpou - Hitei Mushou is Ninjutsu technique used by Gosunkugi. After forming the needed handseal, Gosunkugi will emit a flying mist of small nails from his mouth. These small nails can travel towards his opponent at quite a distance. Description: The user breathes fire along a cord or any other type of long object. While the technique is shown in the anime to be even larger and more devastating than Fire Release: Great Fireball Technique (and being able to melt rock). Description: The Fire Release: Flame Bullet technique resembles the Fire Release: Great Fireball Technique; but it is more of a stream than a ball. The technique is executed by user gathering oil in their mouth, spits it out, and ignites it, sending a streaming fireball to the enemy. Similar to the Fire Release: Ash Pile Burning technique, this jutsu also produces a combustible material prior to ignition. Description: After performing the necessary hand seals, a ninja inhales air via their mouth and, gather up chakra in their chest, and then spews a large fireball from their mouth after blowing through a ring made by the thumb and index finger of the user, incinerating everything in range. Sasuke is seen doing this technique without making a ring over his mouth. The fireball may ignite externally (as evidenced by Kakashi Hatake\'s ability to use the jutsu without burning his mask, but may also be seen as pulling it down to blow out the fireball). Hakkeshou Kaiten is a Taijutsu technique unique to the Hyuuga bloodline using the Jyuuken. Kaiten is a special technique passed down through the main family line. Kaiten takes advantage of several of the unique abilities of the Byakugan eye. Byakugan gives the clan member an almost complete 360 degree view of their surroundings. This allows the member to see all angles of attack. If an attack is near, the clan member will release a large of amount of chakra from their tenketsu. 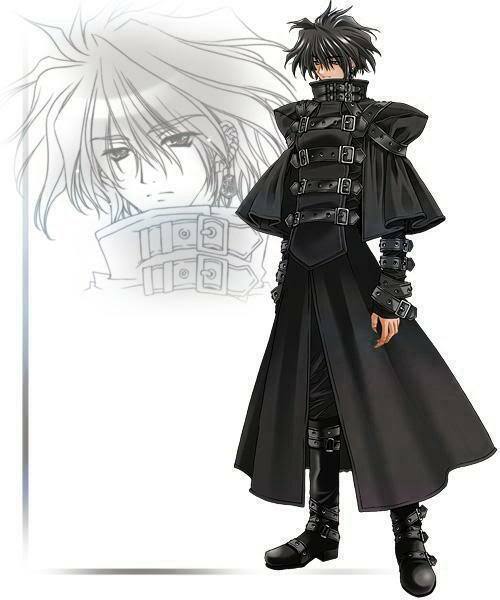 The member then begins to spin like a top, creating a whirling vortex that can nullify almost any attack. Description: The user fires several large dragon-shaped fireballs at their opponent. The technique appears to require a lot of chakra to use, as Sasuke had to activate level two of his cursed seal to use the technique. It is able to alter localized weather conditions by condensing water vapor with extreme heat to the point of making thunder clouds when shot into the air, which Sasuke does to perform Kirin. Description: The ninja will appear and disappear in an instant, allowing them to retreat or attack suddenly. To facilitate the movement the ninja will often use nearby elements such as mist, sand or leaves to mask their appearance or disappearance. Description: Kanashibari no Jutsu is an advanced Ninjutsu technique used to temporarily bind an individual or animal. With the person frozen in place, the ninja can either take the opportunity to attack or to retreat. RP Sample:It was monday morning an Shika had just woke up looking to see what time it was he jumped up out of his bed running to his closet grabbing some clothes then walking to front of the house " i hope father wont be mad at me because im late" shika said to him self while walking to the front. When Shika arrived his father was standing in the middle of the trainning ground that was in his front yard his father was looking at the wall "Father: You late Shikamatsu,why is that" his father had asked him still looking at the wall with his Byakugan activated. "im sorry father i went to bed late last night so i didn't here my alarm go off im turly sorry, but im awake an ready for todays trainning......so what shall we do today" Shika said as he father turns around looking at him then shika slowly bows to show a sign of respect. "Father: fine just dont do it again.....now Eight Trigrams Three-Hundred-Sixty-One Style is what you will be working on today. i have some bad news......your husband was killed while on a missions...an it was by his partner roku ?? shika stood there just as he mom did when he told here that the anbu where out side. ... You can't start off as Grand Sannin. Period. ._. 1: There is no more leaf village. its now called "ash"
Guys I explain this to him last night, he still yet has to fix this. Yo Danzo, Calm down man. The staff here is only doing their job. You don't have to curse at them or anything. Just fix it and be done with it. must state your own combat weaknesses and your own mental weaknesses such as slow,weak,easily distracted,ect. Denined for combat weaknesses and strengthes. You can't be putting genjutsu for both a combat weaknesses and mental. 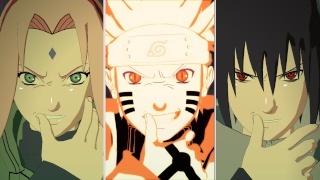 You need to describe them, how bad, average bad, weak, does genjutsu do to you? How strong are you, How good is your willpower. That sort of thing. rika actually that can be allowed i have that in my combat weaknesses and mental weaknesses. o.o Oh I never knew that but still he needs other weaknesses and strengthes like you suggested. ok well i just looked at everyone else's app and they didn't need three but whatever and i only need one person to tell me this u dont need to have a conversation about it. Unless one of the other admins say something. I was just wondering when did this site turn to a friggen TNR copy?